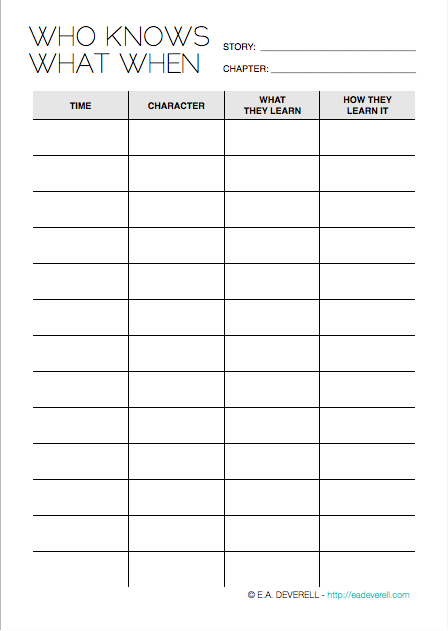 I’ve covered plot holes before, but this worksheet is to help you specifically with the type of chronological lacuna that I fall into most often: mistakes arising from remembering which characters know what when. These errors are difficult to spot and can have some profound effects on the plot, so it’s worth keeping track of them, especially if you intend to take a break from a project. Fill this worksheet in now and keep it in your story binder!